PHARMACISTS HAVE WARNED that certain medicines are in short supply in Ireland , claiming that this has been caused, in part, by the government’s action to reduce prices. According to a survey by the Irish Pharmacy Union (IPU), most of its members have noticed medicine shortages in the last 12 months. More than half said they believed the health of patients had been adversely affected. 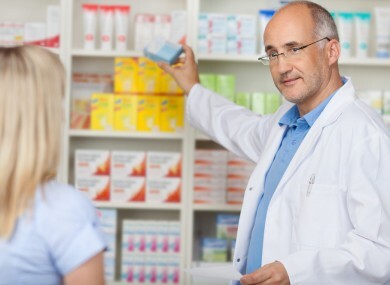 Pharmacists believe that the government’s move to reduce the price of medicine is one of the causes of these shortages. Kathy Maher, President of the IPU said “lower medicine prices are leading to the export of certain medicines out of Ireland to countries where medicine prices are higher”. It is basic economics. We are a very small market in a global context and, if it is not advantageous for suppliers to sell into the Irish market, they will go elsewhere with the result that Irish patients experience a shortage of medicines. Responding to the union’s comments, the Department of Health said it is the government’s policy to achieve the best value in medicines while at the same time ensuring access and continuity of supply. Medicines shortages are a global issue and can arise for a variety of reasons, including unavailability of raw materials, production issues at a manufacturing facility, industry consolidations and commercial decisions by manufacturers to withdraw unprofitable products. With all medicines shortages the priority is to restore supply as quickly as possible and to identify and secure continued supply of alternative products. “Irish Medicines Regulations place a public service obligation on both pharmaceutical manufacturers and pharmaceutical wholesalers, within the extent of their responsibilities, to ensure the adequate availability and supply of medicines on the Irish market in order to meet patient demand,” it added. The department said it continuously works with the Health Products Regulatory Authority, the HSE and the Pharmaceutical Society of Ireland to identify ways to avoid and manage shortages. Email “Irish pharmacists say epilepsy and pain relief drugs in short supply”. Feedback on “Irish pharmacists say epilepsy and pain relief drugs in short supply”.